Laila A. Bahammam Associate Professor, BDS (Hon), MSc Cert. Endo, Ms. Med. Post doc, Department of Endodontics, Faculty of Dentistry, King Abdulaziz University, Jeddah, Saudi Arabia. 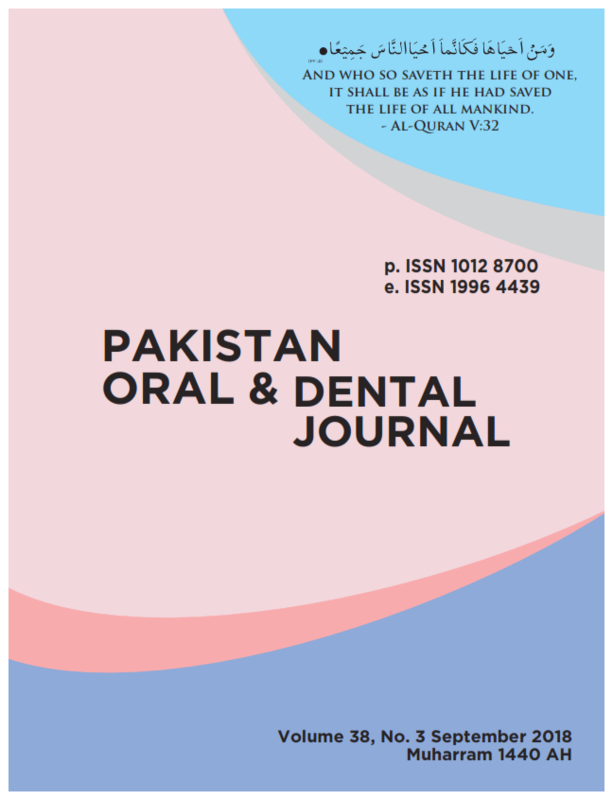 The study aimed to assess the percentage volume of voids in root canals, obturated with NanoFlow and conventional gutta percha using micro-computed tomography analysis at three different levels of the root canal. This study was conducted from June, 2016 to August, 2017 at the Advanced Technology Dental Research Laboratory, King Abdul-Aziz University. Twenty-eight mesial roots of extracted mandibular first molars were prepared with Protaper Universal rotary instruments, randomly assigned into two groups (n=14) and filled with either NanoFlow or conventional gutta percha and AH26 using continuous wave of condensation technique. Samples were stored at 37°C and 100% humidity for one month and then scanned with high-resolution micro-CT scanner. None of the two obturation materials provided a void-free filling. The mean percentage volume of voids in the NanoFlow group was (1.49%) and in the conventional gutta percha group was (2.22%) at the apical area of the canal. NanoFlow had significantly less percentage volume of voids at the apical third of the canal than the conventional gutta percha (p= 0.016).